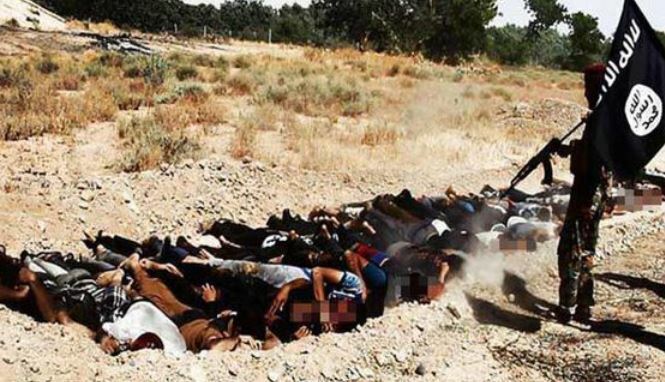 The men, accused of deserting ISIS at a time when their numbers have hit a two-year low, were murdered in a mass grave in north-west Iraq. ISIS has been haemorrhaging support across the Middle East, with the number of foreign-born militants also down by 90 per cent in recent months. Today’s brutal execution came after the group of men allegedly fled fierce fighting that was raging against Kurdish Peshmerga forces in al-Bashir village.